This year I will celebrate five years of marriage. My kids will have their second and fourth birthdays. I will have been born again for seven years and working in ministry for six. All of these moments are great milestones in my journey with Christ. Also coming in 2019, will be the release of my second book, God Has a Sentence for Your Life and the launch of the Testimony House network shows from our new studio. Both of these goals have been faithfully birthed through a long pregnancy. 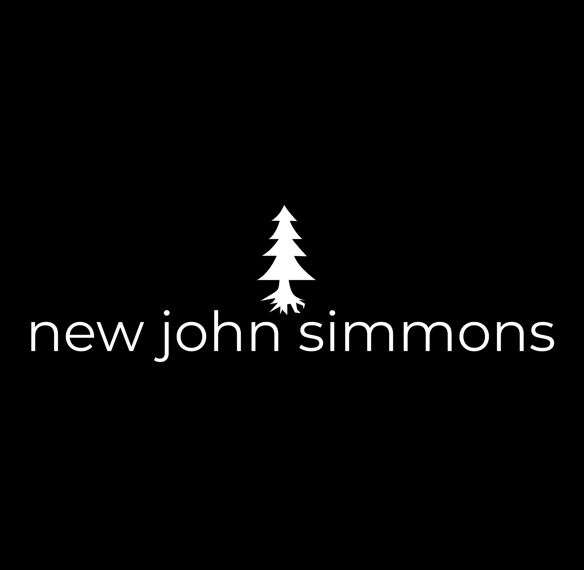 To capture this season of my life and ministry, I have created the newjohnsimmons.com. Formally, this site was the host of everything related to my radio and live stream program called, The New John Simmons Show. That show is now defunct, but I will continue to create Christian content in various forms on the Testimony House network. This blog site is now part of the next chapter and stepping stone on my journey of sharing Christ with others. In 2019, I wanted to do something different than I have done in the past with the ministry. I want to give you a front row view for the highs and lows of my Christian walk and ministry. In my new book, God Has a Sentence for Your Life, I want you to understand the extraordinary life plans God wants you write. I believe you are special to God and created for a unique purpose through Christ. Inside the book, I will show you steps you can take to find passion for God, a vision from God and the faith to follow Him. Inside this blog site, I will show you how I am doing those things myself and what my results look like. This site will also be hosting the written work and stories of my friends and other ministry leaders. For the next year, I will write about and track the results of following the steps in God Has a Sentence for Your Life for myself. Even though I have already been blessed to write part of my testimony through Christ, I believe there is even more God wants me to write. I want to bring you along for that journey and encourage you to start or fulfill God’s sentence for your life as well. · I will follow the finding passion steps from God Has a Sentence for Your Life and document the results. · I will do 24 things (2 each month) I rarely do, have never done or are out of my comfort zone to learn and grow closer to God. · I will follow the finding vision steps of God Has a Sentence for Your Life and document the results of each step the best I can. · I will share a list of 25 visions I’m believing God to fulfill in my life with you and track the progress and results of each one. · I will follow the finding faith steps in God Has a Sentence for Your Life and track the progress where possible. · I will believe for 12 BIG things that are outside of my natural ability to obtain (a mixture of items that would hopefully bless others or me and my family). I invite you to come along this journey with me by following my Facebook page here or subscribing to this blog below. The next twelve months will hopefully be an entertaining and edifying project for all of us to be involved with. I am looking forward to sharing my life and ministry with you in this way.